Accidentally billed for the wrong sessions? 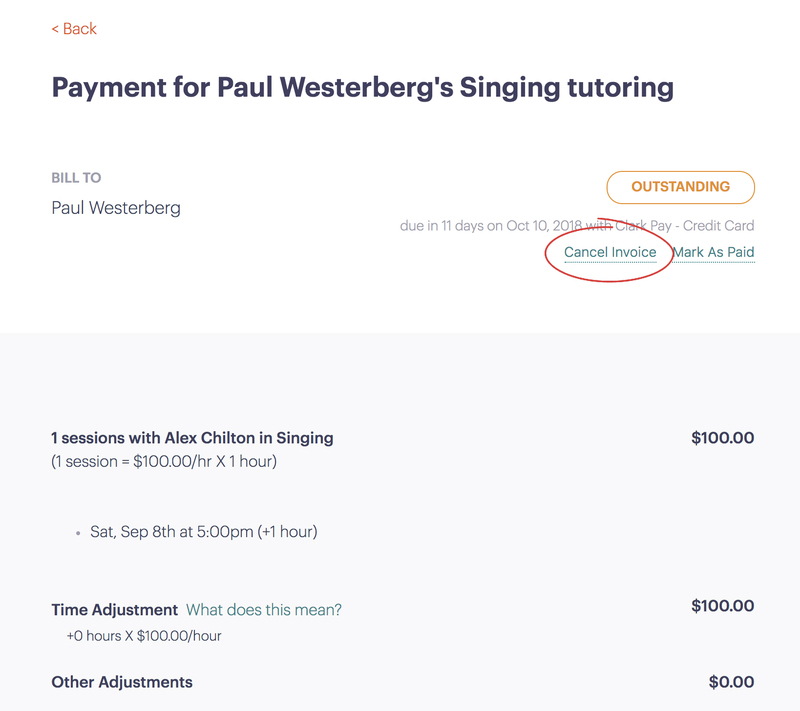 Here's how to delete the invoice. Towards the top right, just under the heading, you'll find the 'Cancel Invoice' button, right next to 'Mark As Paid'. That's it! 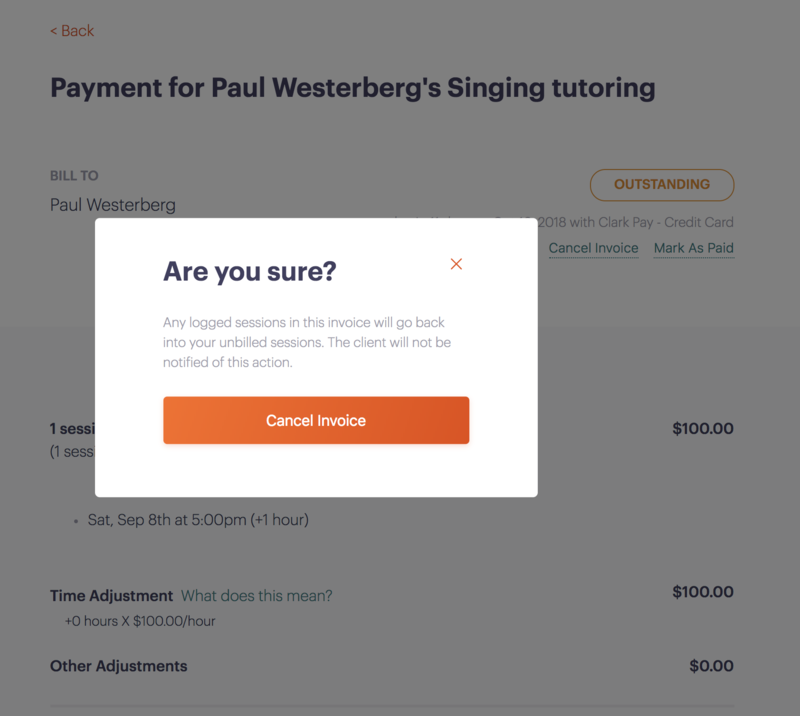 You'll get a success message to show that this is complete and any logged sessions on that invoice will now appear as unbilled.